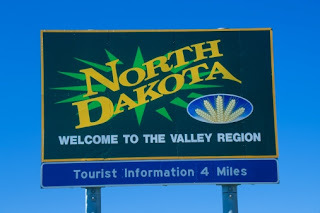 North Dakota Preps • View topic - Unable to log in? I'm sorry, but it's only been today that I've been able to access my email and I've gotten about 200 spam emails to sort through, so please bear with me. I'm getting some emails that people are unable to log-in with their old passwords. I'm assuming that there was a problem with the conversion process, I'm not sure how to fix the problem other than to ask you send me you old username, and then I can delete that account and then you will be able to re-register with the same email address. I know this is a big pain, but please bear with me while we get it all sorted out. Thanks everyone. Or if you have a new account and you want something done with the old one, such as have your old name back, just drop me a PM. Re: Unable to log in? I think part of the problem with logging in is because the new format's default settings needed 6 characters for passwords, so if you didn't have at least 6 then it was erased. I've since changed it to three, hopefully that will help. But you will still probably have to email me at ndsportsfan@northdakotapreps.com to reset your password or help with your account. Sorry, but I just realized today that my mailbox was full, so that is why people are not able to email me. It should work ok now, hopefully. Sorry for the inconvenience everybody.